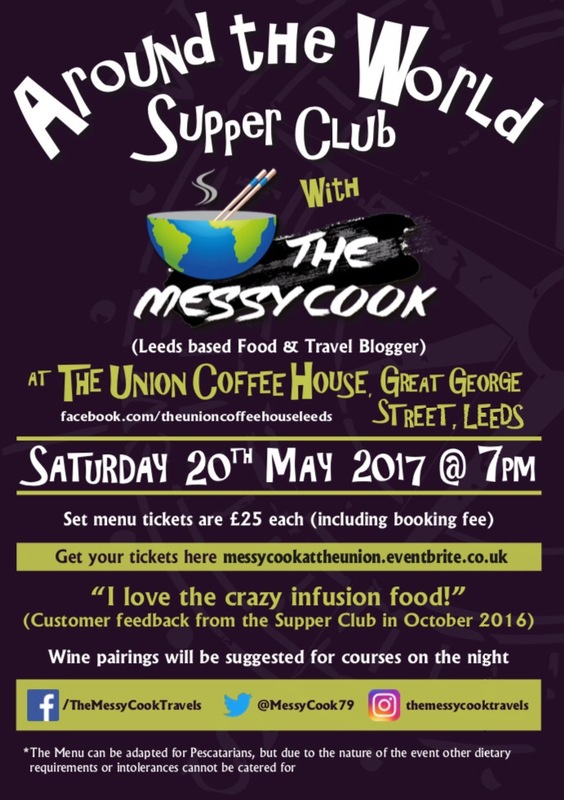 Come Along to my next Supper Club on 20th May in Leeds! I’m excited to announce that tickets are now on sale, via the below link, for my next Supper Club in Leeds on 20th May 2017. 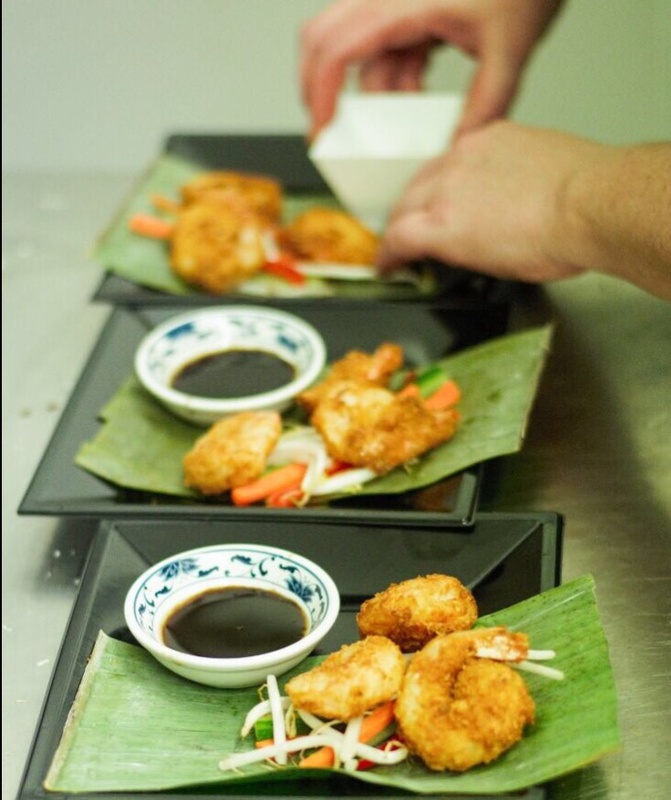 Following the success of my first supper club night back in October 2016 (read the blog here http://wp.me/p67DA2-us), I am looking forward to hosting another one. The theme will be ‘Around the World’, and I’ll be serving a set menu from dishes I’ve tried, tested and enjoyed on my travels. 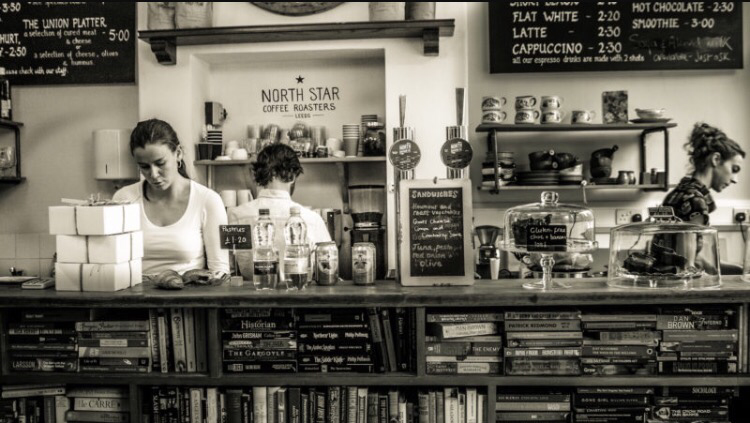 The Union Coffee House based on Great George Street in Leeds City Centre, will be the venue. Chris & Vik have kindly invited me along to use their quirky place for the evening. See the poster below for further details. Please note that due to the nature of the event we will be able to adapt the menu for Pescatarians, but unfortunately we won’t be able to cater for any other dietary requirements or food intolerances. If you have any questions at all on the event, please contact me. Previous Post Read what 2016 MasterChef Quarter Finalist Chris Hale has been up to since last years show!